FTA divides its members into four regions. Each region is governed by an executive committee made up of commissioners/directors of the member agencies. All functions are handled by the state agencies. FTA provides some logistical support. 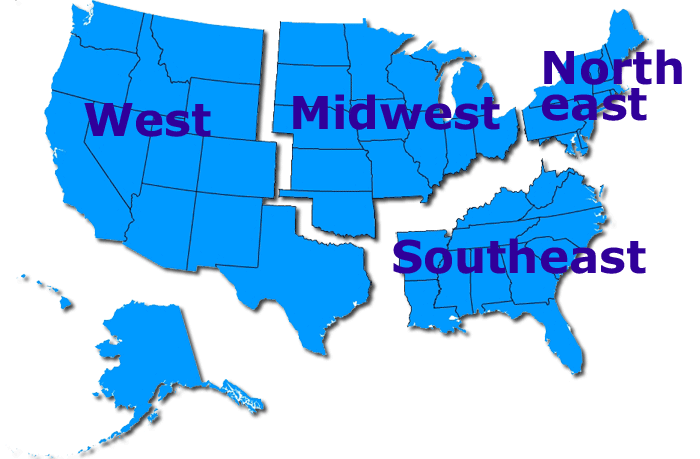 Click on the Map to see information on each region. See below for listing on regional meetings. See FTA Meeting Page for more meeting information.